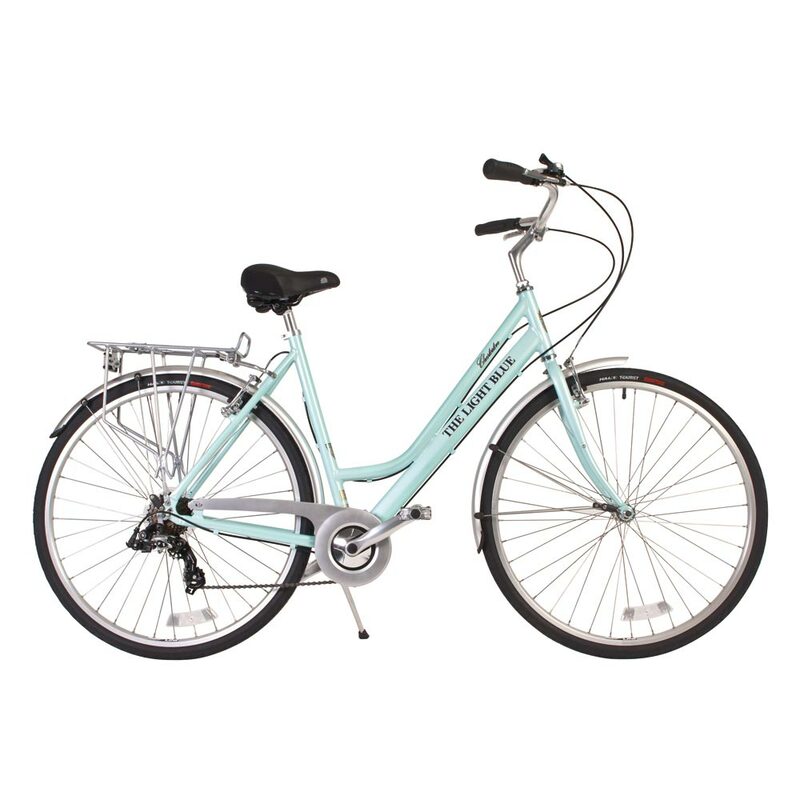 The Light Blue Chesterton is a lightweight alloy framed urban bike with a sporty 7spd Shimano gear system. The timeless upright style and comfortable riding position belie the underlying spritely modern performance it delivers. 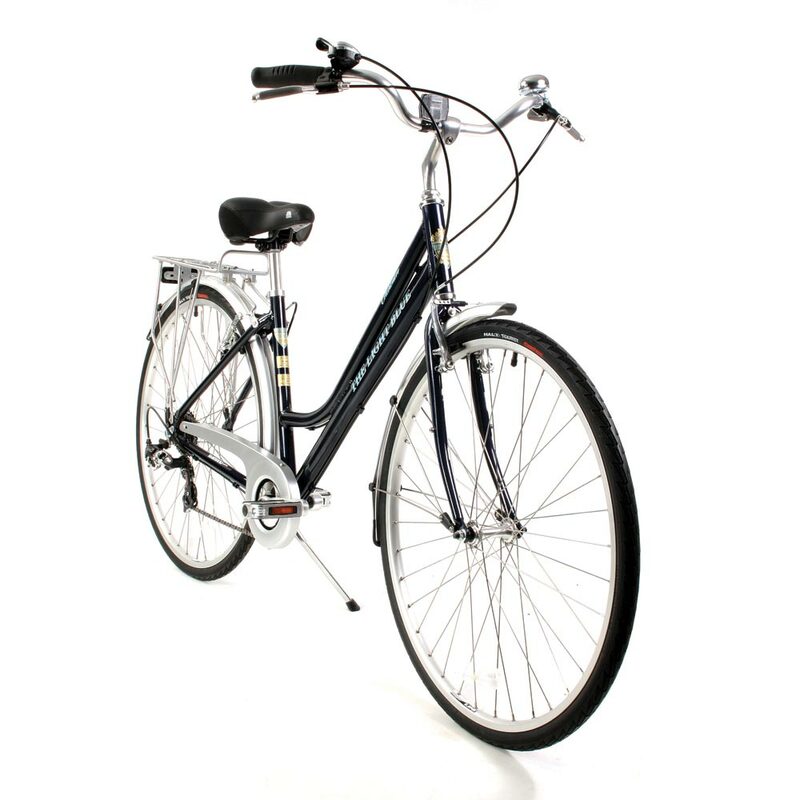 Whether nipping to the office or the shops, or even heading out of town for some gentle leisure fitness, the Chesterton may well be all the bike you'll ever need. The lightweight aluminium frame, durable steel forks and light and strong double wall heat treated aluminium rims are all features that provide a practical, comfortable and spritely machine. With an overall ratio range of 250%, the well-established 7 speed Shimano Indexed derailleur gear system provides a useful range of gears for the majority of Urban cyclists. The simple push-button operation with an indicator window makes derailleur gear operation a breeze, even for the inexperienced user. Comes with durable and lightweight aluminium rear carrier with pannier bag side-support dog leg stays and a useful top spring clip and chrome-plastic mudguards.